Opened to both males and females(i'm bisexual). 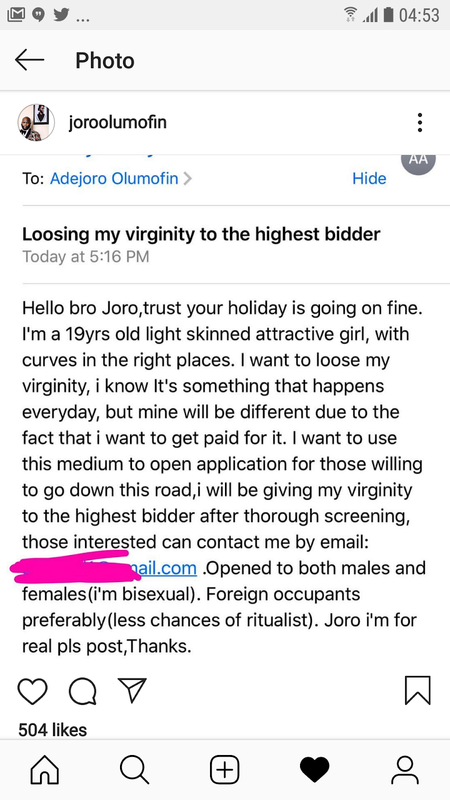 Foreign occupants preferably(less chances of ritualist). Joro I'm for real pls post,Thanks. 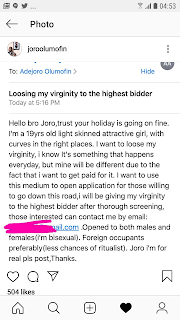 Good evening Joro, please I have a question. When giving a girl head do you swallow her juice or have a bowl beside you to spit in it. Help me please. Reply and share on ur page.